Today, digital dental technologies are transforming every aspect of the dental industry, making it easier than ever to produce precise crowns, copings and bridges. 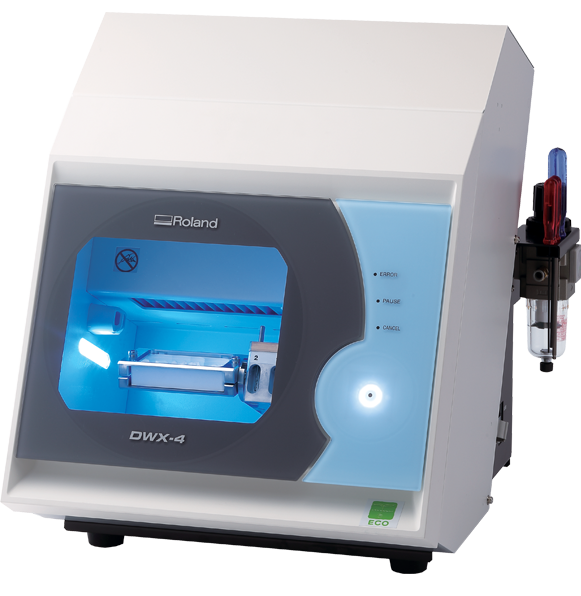 Roland DWX-4 - At the forefront of this technological revolution is the Roland DWX-4 compact dental mill, the industry’s most user-friendly desktop milling solution. With the DWX-4, you can mill a single crown or small bridge quickly and economically. Like its larger family members, the DWX-30 and DWX-50, it is capable of milling a wide variety of materials with reliable precision. 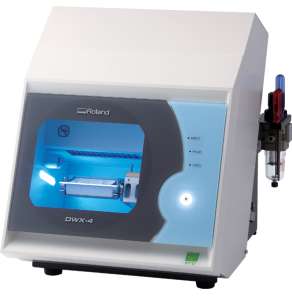 Affordably priced, the DWX-4 is ideal for any lab just getting started in digital dentistry or those labs with scanners who no longer wish to outsource production. It’s also the perfect addition to labs that need a second device for urgent jobs. With the DWX-4, these labs can mill a single crown or bridge on demand, without tying up their larger production mills.